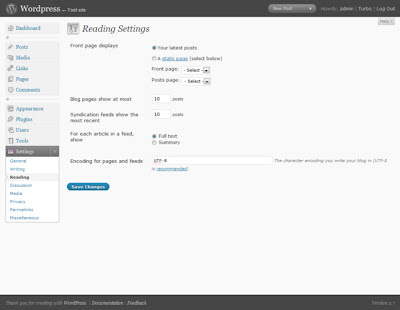 Create two WordPress Pages from the “Add New Page” panel. Title one as “Home” (or another name) as your “static” front page. Set the “Home” template to the default template or any custom template. Add content you would like to see within the content area of the “Home” page. Title the second page one as “Blog” (or you could call it “News”, “Articles”, etc.). This page will be a place-holder for showing the Posts on your site. Do not use a custom Page template for this page! DO NOT add content to the Blog Page. Leave it blank. Any content here will be ignored — only the Title is used. Set which page will be designated the “front” page. Choose from display your latest blog posts on the “Blog” Page and “static page” for the “Home” Page.